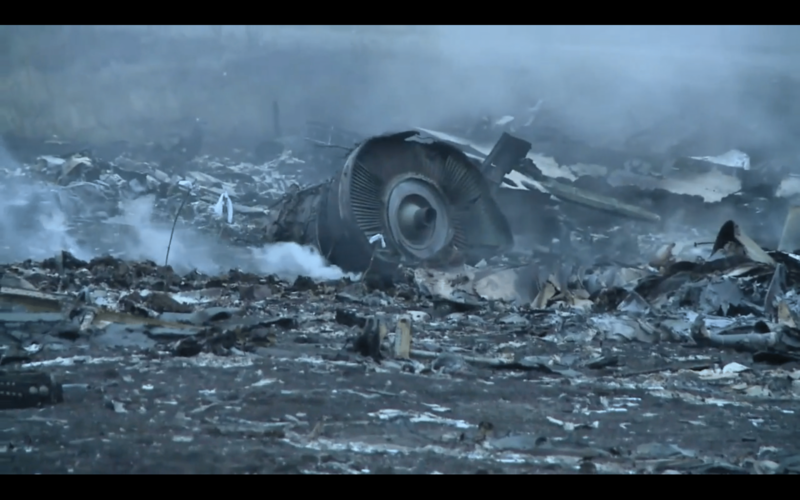 Space Safety » Archive » Space on Earth » Space Policy » Malaysia Flight MH17 and Spaceflight: A Widening Crisis? The loss of Malaysia Airlines flight MH17 – just weeks after the mysterious disappearance of Malaysia Airlines flight 370 – is another tragedy for civil aviation and a potentially serious geopolitical trigger. At the time of writing, roughly half a day after the loss of the aircraft, it seems beyond reasonable doubt that the 777 airliner was shot down by a surface-to-air missile. Exactly how and why this happened is still a matter of investigation and dispute. 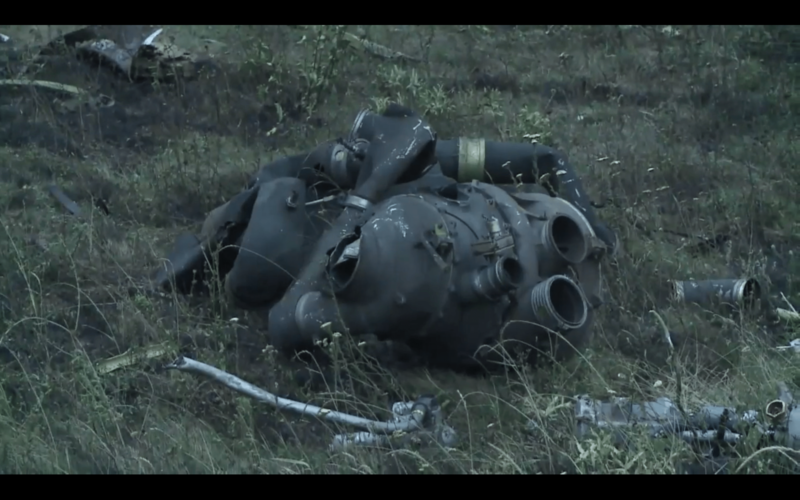 Debris at the crash site of Malaysia Airlines Flight MH17 near the village of Grabove, Ukraine. – Credits: AFP. This article will not enter the sensitive area of forensically examining the cause of the incident, or assigning blame. The nasty politics, both local and international, surrounding the Ukrainian crisis will also not be explored here. Whatever the circumstances, it seems reasonable to generally suggest that this incident will seriously escalate tensions, and the repercussions could appear on many fronts. At some point, the potential impact on spaceflight needs to be considered. Tensions between Russia and the USA have been strained for several months, following the Russian annexation of Crimea. There was a flurry of bellicose and sometimes obnoxious rhetoric from lawmakers on both sides. Sanctions against Russian space companies were proposed. The most immediate issue was the use of imported Russian engines on American rockets. The US-Russian crisis soon became just one factor in a sudden escalation of tensions within America’s own space industry. The fog of war from lawsuits, corporate rivalries, political lobbying and arm wrestling for government funds soon made it difficult to make sense of the true state of American spaceflight. That fog has yet to clear, and it could complicate matters as the world tries to manage the repercussions of yet another blow to international relations. Any escalation of tensions between the USA and Russia could be used as a pretext for advancing certain agendas within the US space industry, such as reducing dependence on Russian space infrastructure. Whether or not this is a good idea is a subjective question, and this Australian analyst will not personally enter into this dispute. It will largely depend on the goals, the assessments and the opinions of the parties involved. Americans can and should decide for themselves. While most attention has been focused on US-Russian co-operation in spaceflight, it should be remembered that Russia deals extensively with other spacefaring nations. Russian Soyuz rockets launch from the European Space Agency spaceport in French Guiana, amongst other examples. The interactions of these nations will also be potentially challenged by this crisis. The prize question is the future of the International Space Station. In the recent past, this analyst held grave fears that Russia could use its monopoly on crew transport and its large role in cargo transfer to disrupt normal operations of the station. So far, those fears have proven to be unfounded. It’s business as usual aboard ISS right now. But as this analyst previously speculated in Space Safety Magazine, an escalation of tensions on Earth could provoke a change in the status of the space station. It could come from a denial of access to infrastructure by Russia, or it could come from similar actions instigated by the US government. The concept of any active expedition to the station being disrupted or jeopardized seems unrealistic. But it could lead to a withdrawal of some crewmembers or activities in the future. This analyst sincerely hopes that tensions will be reduced on Earth and in space in the near future. But pragmatism suggests that this is far from certain. It’s hard enough to determine how this crisis will play out on the geopolitical chessboard in the months to come, and nobody can be sure if spaceflight will be affected any further. Whatever the case, we must at least consider the possibilities, and consider how the space agencies of the world would deal with further contingencies.